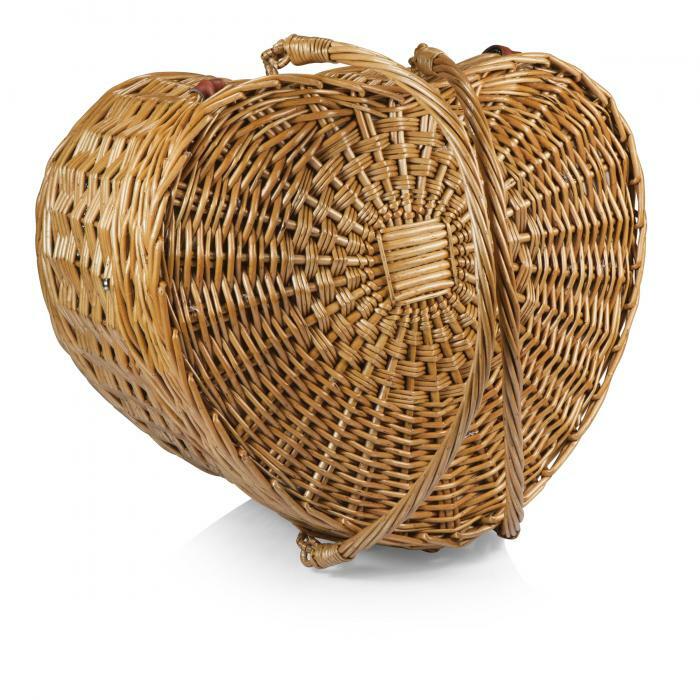 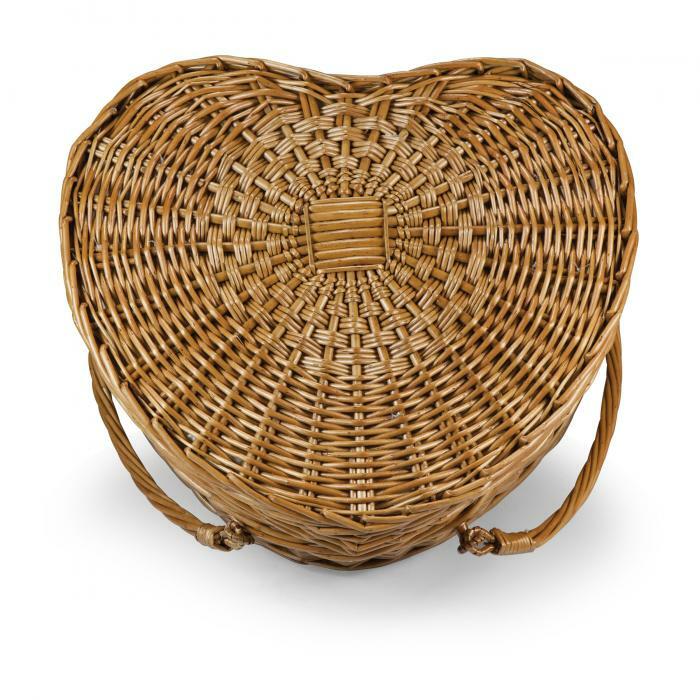 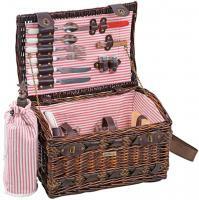 The Heart picnic basket was designed for the most romantic couples. 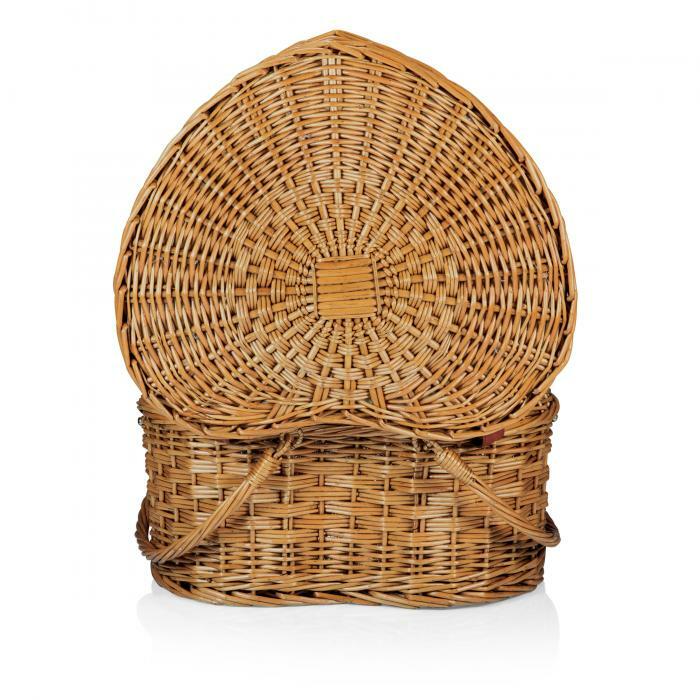 Woven into a heart-shape, this natural willow basket stands out amongst the rest. The Heart is fully-lined with antique-white quilted cotton and includes all the amenities needed for an intimate picnic for two. 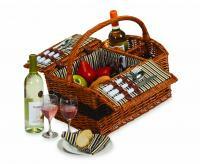 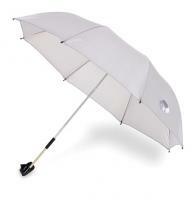 It comes complete with: 2 plates (porcelain, 8", solid white), 2 hand-blown wine glasses (7 oz. 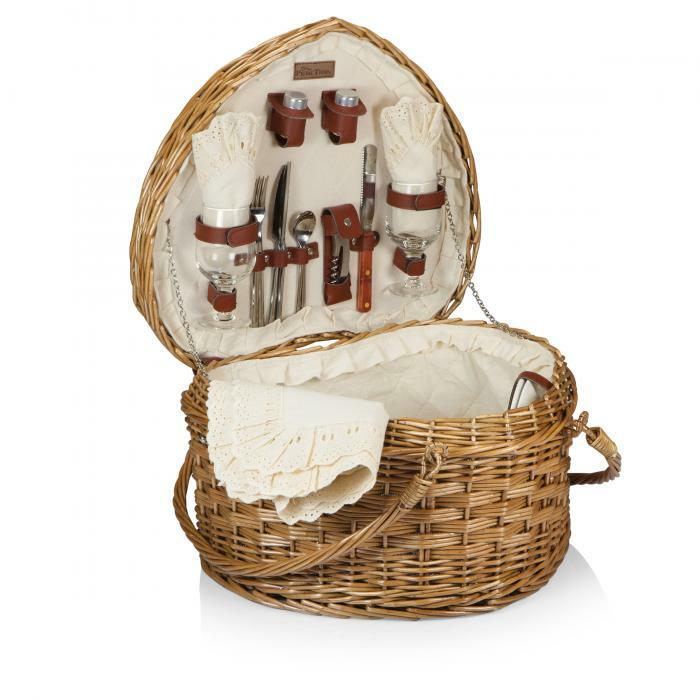 ), 1 hardwood cutting board (6" x 6"), 2 (18/10) stainless steel forks, knives, and spoons, 2 napkins (100% cotton, 13.5 x 13.5", antique-white with eyelet at edges), 1 stainless steel waiter-style corkscrew with wooden handle, 1 set of stainless steel salt and pepper shakers, 1 food storage container (plastic), 1 stainless steel cheese knife with wooded handle, and 1 tablecloth (100% cotton with eyelet edging, 44" x 44", antique-white). 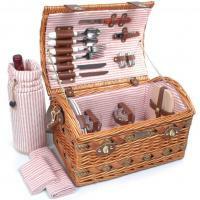 Ideal for that special couple about to celebrate a wedding, anniversary, or Valentine's Day. 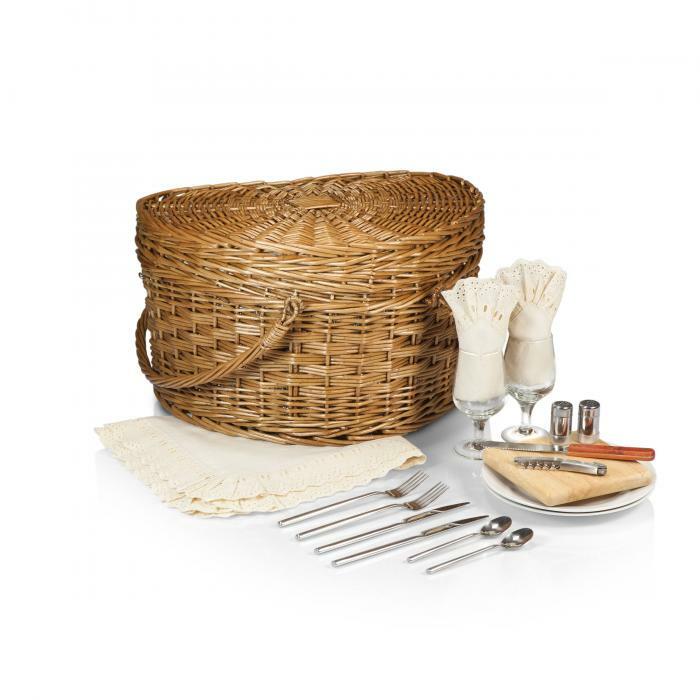 •17.5" x 15" x 10"
It was beautiful and bigger then I thought,wonderful gift for the bride to be.